Sean Woolsey is a Californian artist who makes furniture pieces. Today, we’re talking about his super stylish, hand-crafted Waterfall Desk. This one continues with the minimalistic and clean design of the Agent Desk we saw a while ago and was originally made for the architect William Itzen. One side of the desk is covered with wood and represents the waterfall edge, giving it an asymmetrical touch. 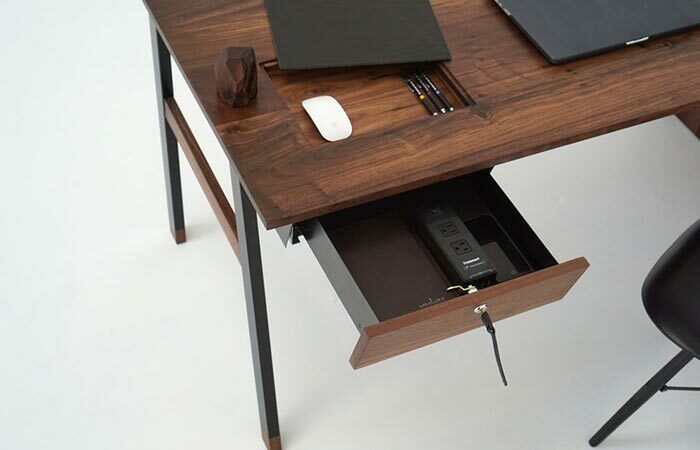 Speaking of the wood, the entire desk uses black walnut paired together with a steel powder coated frame. At the end of the crafting process, the wood gets a wax and oil finish. 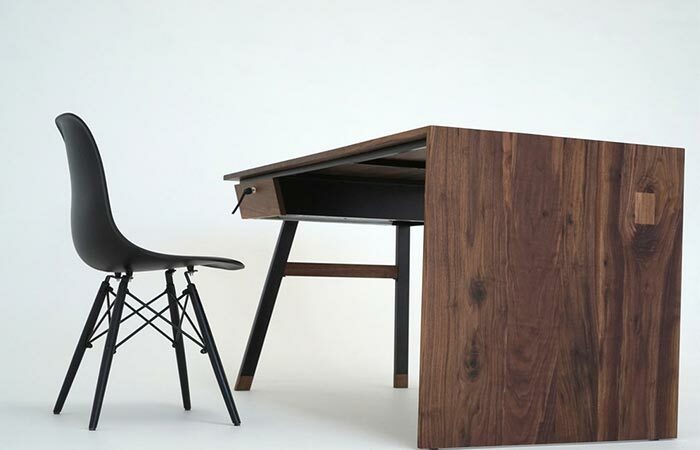 Sean Woolsey’s Waterfall Desk is handcrafted in California out of walnut tree and steel frames. Besides the timeless look, this desk has a cool feature- Sean Woolsey’s signature built-in leather mouse pad. We’ve seen it already in two previous models- Scout and Agent desk. 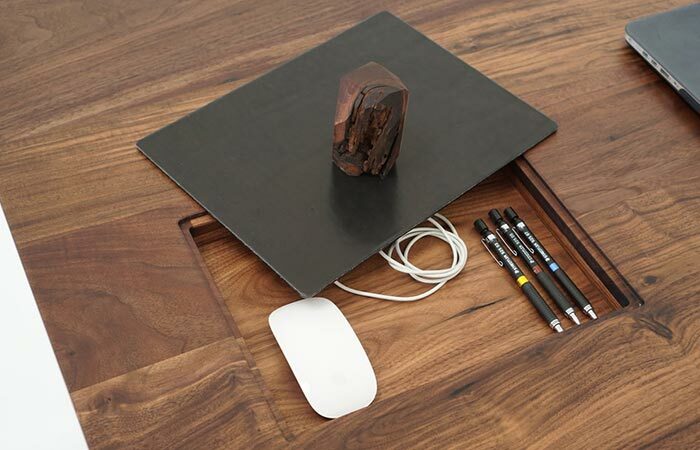 This is a small hidden stash that can only be opened with a strong magnetic wood geode that you get together with the desk. Inside, you can place your valuable items and once closed, it’s a perfect mousepad that no one would suspect of. The built-in mouse pad can be a perfect place for storing pens, documents, cash and your mouse. As for more storage capacity, you have a nice sliding drawer that can be locked. Another handy feature is the magnetic power block. It can be attached to any part of the frame, so you can choose the place that’s most suitable for you. The power block has 2 power and 4 USB ports. Finally, there are three ways to customize your desk. You can choose the side of a waterfall panel, mousepad, as well as the powder coat, black or white. As for the dimensions, it measures 60 x 30 x 30 inches. The drawer is lockable and can fit a power block that you get together with the desk.